Since November my skin has turned from okay a few spots here and there, with scars here and there to an all out implosion of hormonal acne, pitted scars, terrible texture, lumps, bumps and furious purple marks galore all over my jaw. It's a treat. Really beautiful. Not really, I often cry over it. BUT let's move on, shall we? Odacite Pa + G Serum Concentrate - I can't believe I have had this little 5ml bottle for so long now, at least 4 months. I use it very sparingly, a single drop just a few times a week on my breakouts. Papaya oil is very high in oleic acid (which I try to avoid) so I've found this oil leaves me greasy and just doesn't sink into skin at all, it does however still improve my skin and I notice when I wake up in the mornings that scars look less inflamed and blemishes are reduced (thanks to the natural exfoliating enzymes in papaya). True Nature Botanicals Topical Vitamin C Treatment* - I use one capsule every 2-3 weeks and get 2 uses out of one capsule. I like using this on nights when I really don't want the feeling of greasy oils and serums on my skin. I mix the capsule with a water based serum or even just toner and apply to skin, it tingles for a few seconds and then everything settles down as the serum sinks in. My skin is left with a matte finish for once and come morning I'm always amazed at how calm angry dark marks appear and how bright my complexion looks, if only until I wash my face ha! I read somewhere a few days ago that vitamin C actually prevents scars from being so severe or forming all together (I can't remember the exact details) so I will try and remember to keep up regular treatments of this. Antipodes Apostle Skin Brightening & Tone Correcting Serum* - I have only used this a handful of times so far, but it's lovely to have a light, hydrating serum to use during the day. The serum uses anti-inflammatory 'vinanza oxifend' extracted from red grapes to reduce redness and melanin production. The serum also contains kiwi fruit enzymes to gently renew skin whilst aloe vera juice and red raspberry oil hydrate and soothe. Because I'm not using harsh skincare I can use all 3 of these products together in my routine without any side-effects, they're all gentle and leave my skin calm, cool and collected, not peeling, dry and breaking out out even more, the wonders of natural skincare, huh! I've been dealing with scarring as well, left over from pimples. 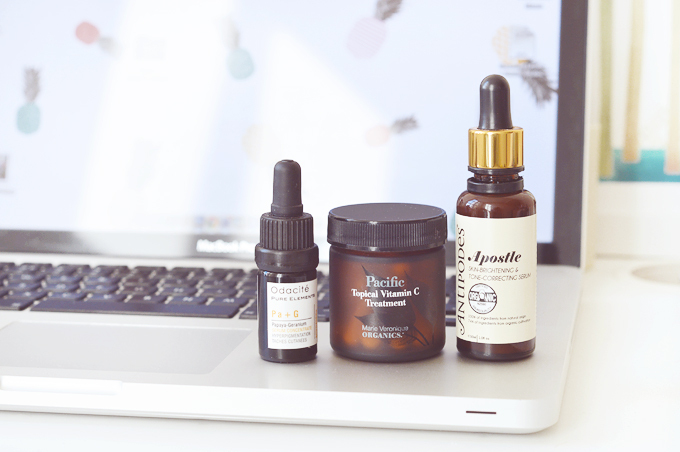 I'd love to try these products, especially the True Nature Botanicals Topical Vitamin C Treatment and Odacité Pa + G Serum Concentrate. 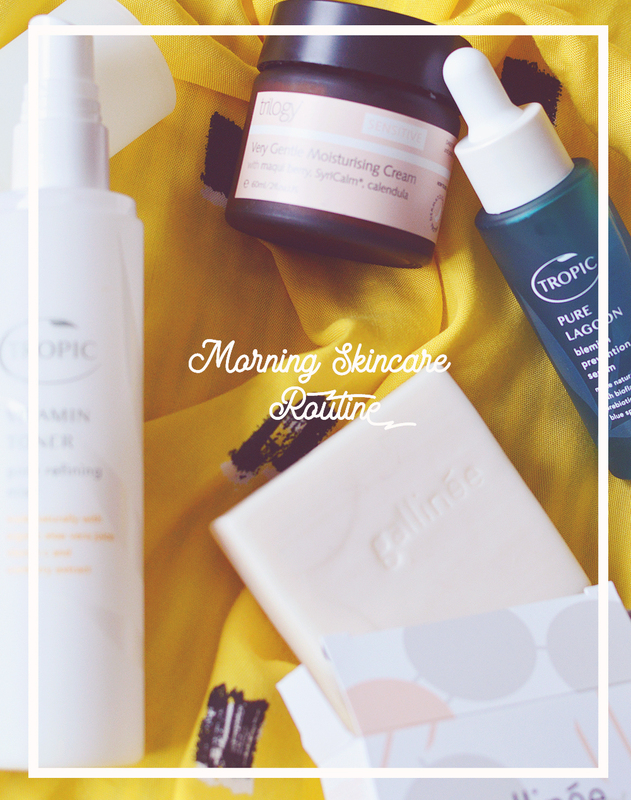 I've also been hoping to try the Holiskin Intensive Repair Acne Scar Treatment and CELSUS.